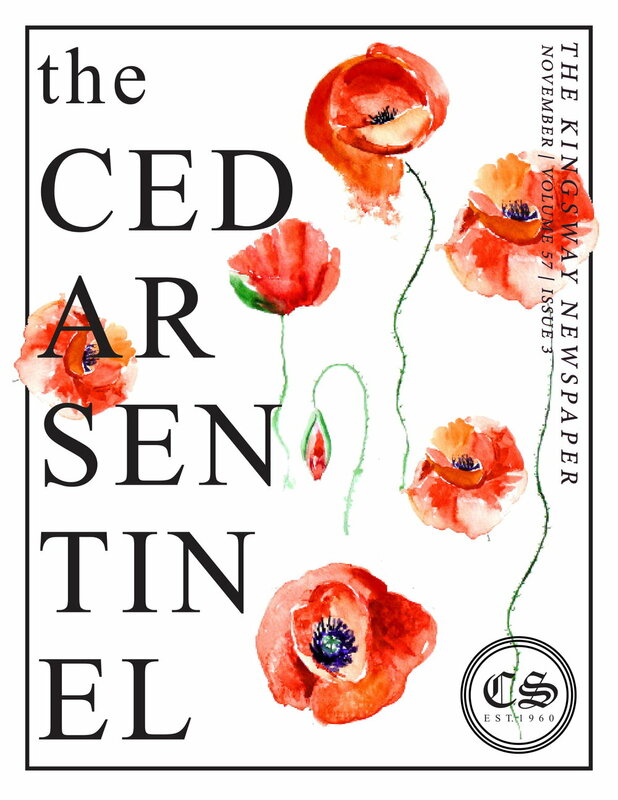 Cedar Sentinel is Kingsway College's official student magazine, designed and compiled by the Cedar Sentinel Editor and Assistant Editor. The authors for each issue range from students, faculty and/or staff. Content includes: major event highlights of the month like sporting events, on and off-campus events, poems to inspire, creative writing, and much more! There's something in here for everyone! Click on the issues below to see for yourself! Questions or inquiries? Please contact cedar.sentinel@gmail.com. Sentinel: One who watches and guards.